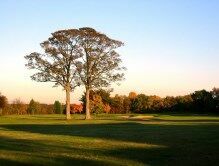 The Cheshire Union of Golf Clubs has 99 Affiliated clubs amounting to nearly 35,000 playing members. 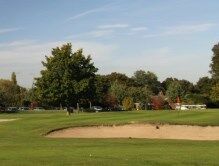 There are a wide range of golf courses within Cheshire offering varied challenges to every level of golfing skill from the Open Championship venue of Royal Liverpool through to player friendly 9 hole courses; there is a course in Cheshire to suit every need. There is even a Golf Club purely for Junior golfers. Though many of our courses are in a rural setting, the large conurbations of the Wirral, Warrington and Manchester are well represented, offering courses which are green oasis with varied wildlife. 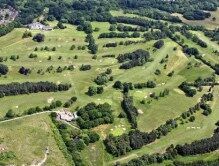 Becoming a member of a Golf Club has many benefits of which unlimited access to a golf course is the major one. Golf Clubs generally have a very active social calendar attracting a wide cross section of the community. For the more competitive golfer, there are many opportunities to test your golfing ability against your fellow members. A member is entitled to an official CONGU ® Handicap, recognised through Great Britain & Ireland and the rest of the world. Our golf clubs always offer a warm welcome to new members and visitors. Join a Golf Club and you will have sport for a lifetime where you will make lifetime friends. 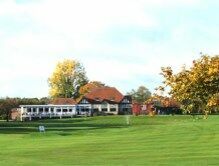 Golf Club members also become members of the Cheshire Union of Golf Clubs and the English Golf Union, for men or for ladies, the Cheshire County Ladies Golf Association, the English Women's Golf Association and the Ladies Golf Union. As a member of the CUGC or CCLGA you are entitled to purchase, at a maximum fee of £18.00 per annum, a County Card which entitles the holder to play a round of golf at 1,186 golf clubs in 30 different County Unions throughout England at a much reduced rate, generally half of the published rate. If you are interested in joining a Cheshire Club, you will find a page listing all of our 99 Affiliated Clubs with a direct link to the clubs' own website. Contact the Club Secretary who will be able to advise you of the membership categories available. Many clubs offer reduced playing rights at a reduced rate, ideal for those with limited amount of time.